So I was looking up ASAT camo again (all season all terrain) just browsing "if" I get the chance to go hunting this year (I haven't been in a few years for various reasons). If I get a chance this year, I want to go. Has anyone here used this camo? Second to that,while searching youtube for the same camo I found someone had a gunstock hydrodipped in it. I thought that would be pretty cool for when I get a poly GSR stock this year..though I'm still hoping magpul will release their hunterstock for the GSR- that would have Mlok capable slots on the front for a flashlight and more "verticle" type grip..I think that would be amazing. Anyways- just seeing if anyone has any experience with this camo or hydrodipping their stock. So since this has gotten so many views but not responses, I guess I should clarify. 1. Has anyone used the ASAT camo? Opinions in the field? 2. Has anyone hydrodipped their stock? I have a ruger GSR and may get the poly stock and thought about dipping it. Thanks for looking and hopefully I get some of your opinons! When I used to bowhunt, I used ASAT frequently. I think it does a great job of breaking up your profile. Then again, assuming you're following all other 'rules' of not being detected, I'm not sure it works any better/worse than Kuiu VIAS, Sitka Open Country, etc. It's a high contrast breakup pattern, and in that sense, it works, and I mix and match all of the above at times. I don't think it really matters that much. A good buddy of mine who bow hunts more than I swears by ASAT camo and is religious about wearing it on our annual Coues rifle hunt. We are 6 for 6 on AZ public land Coues deer rifle hunts so it doesn't seem to hurt. The bowhunting community seems quite smitten with ASAT and probably for good reason. A few seasons in southern AZ and the Ocotillo and catclaw will have it looking like a ghille suit anyway. There is a bucket load of psychology wrapped up in hunting and if getting a set of ASAT camo improves your confidence, then get two full sets and get to filling the freezer. I listen to Strow in all manners hunting. Not just because I tend to agree with him, but because he has more hunting time then most folks I know, and most of it is against very wary prey. I have said it before and will say it again. More game has been taken in the US by guys wearing jeans and a flannel shirt, usually red and black check, then any camo type. If it works for you and you like it drive on. Personally I tend to avoid camos so my stuff is more multi-use. I would just hit that stock with Aerove in some earth tone and call it a day, but it is not my rifle. Thanks for the replies! I'm looking to get the poly stock for the GSR and will probably spray paint it OD or MAS Grey (my barrel is already duracoated by a friend a dark grey/green). I wish magpul would release that stock for the GSR as it is exactly what I want (for a more verticle grip, flat fore end and mlok slots)...maybe in time. I like the ASAT camo, I've only gone deer hunting a hand full of times, both were from a blind- so I wore jeans a tshirt. 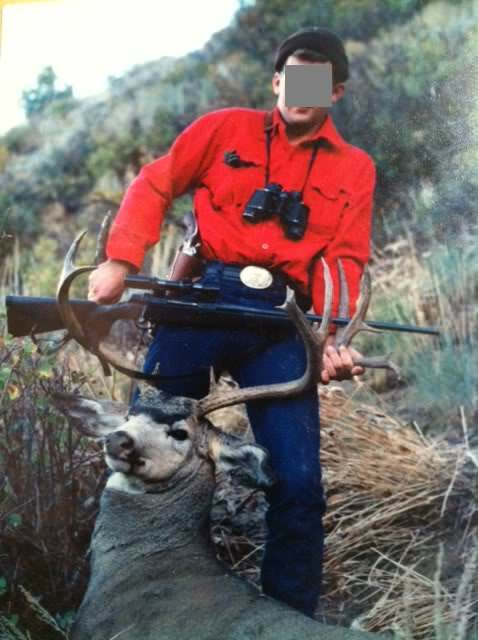 The time I harvested a deer, I was in the old army black fleece jacket and blue jeans.) I like the ASAT pattern and have read great reviews on it, since I've seen it for years (since I was a little kid)..I appreciate the responses from everyone! It may or may not be of importance to you but check the fabric used in the ASAT camo. If I remember correctly it is 100% cotton or close to it. It seems to hold up well but I wouldn't want to get it soaked on a cold fall/winter day in the back country if I could help it. True, a lot of the stuff actually made under the ASAT name is inexepensive cotton stuff. But First Lite also makes (or at least used to make) a fair bit of their high-end merino wool, softshell, etc clothing in the ASAT pattern as well. And in my experience, First Lite is pretty top notch gear. But like you and others have stated, I don't bother with camo anymore. The camo I DO own is due to the fact that the clothing features were not available otherwise. 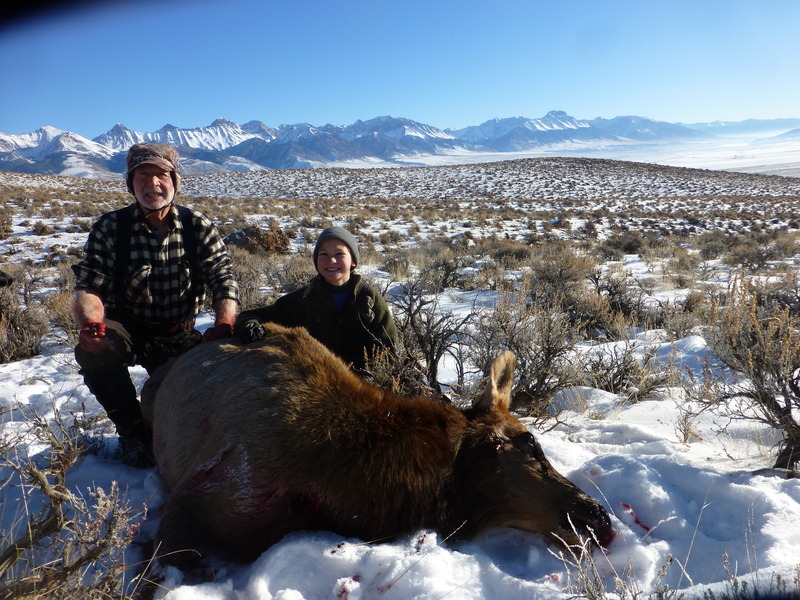 Frankly, it is really not needed, especially out west, rifle hunting. Even waaaay back in the day when rifles were made of wood and blued steel, and dads, were showing sons how it was done, camo was not needed. 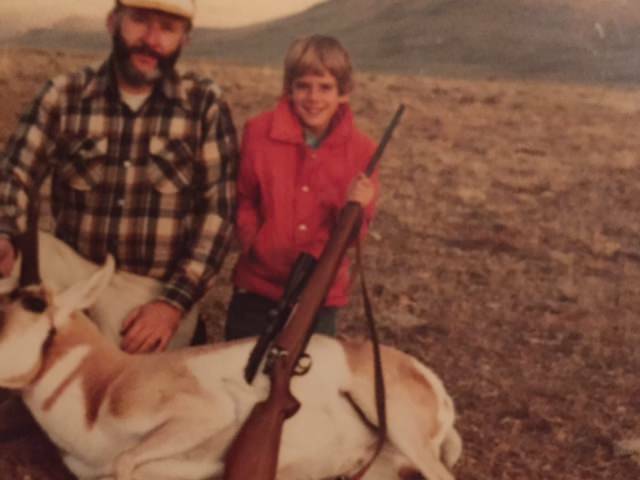 I've had some great experiences while wearing ASAT bow hunting and still hunting with a rifle. One very memorable moment was when I heard a deer snort up ahead of me so I slowly moved in a circle to keep the wind at my back and come in above it. To my amazement, a doe and fawn walked out of the woods and came to within about 10 yards before the mother noticed me. Then, she started easing over to me to check me out and finally stopped about 5 yards in front of me. We stood there staring at each other for a while before I finally said, "Boo" and she hopped off with a half-hearted flag flying. The deer that have seen me while wearing ASAT tend to hang around longer and be a lot more confused than those I've encountered when not wearing it at ranges under 30 yards. My ASAT is the 3D leafy suit over whatever clothing I have that's weather appropriate. Ultimately, I think it's very dependant upon the type of hunting one does. Since I've started wearing ASAT while still hunting heavily wooded areas my encounters with deer have gone up but some of that could easily be experience. 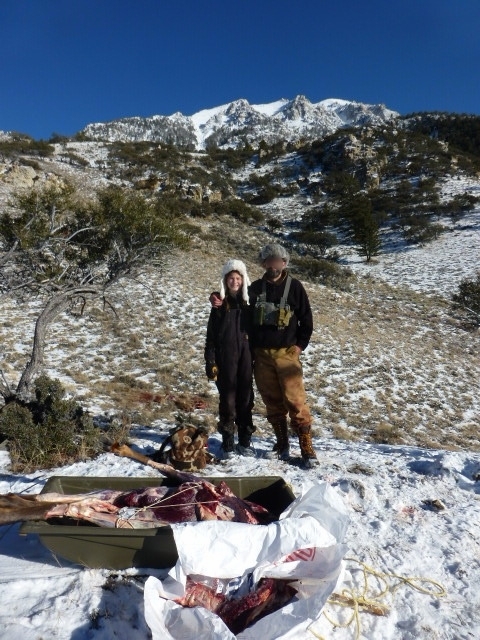 If you're hunting wide-open areas and aren't getting close to the animals the type of clothing doesn't seem to matter much at all. In contrast, if you're getting up close and personal with them then it's best to be wearing something that breaks the human outline up - even if it's just old-school-cool flannel.